Facebook founder and CEO Mark Zuckerberg pauses as he speaks during a news conference at Facebook headquarters August 18, 2010 in Palo Alto, California. Zuckerberg announced the launch of Facebook Places, a new application that allows Facebook users to document places they have visited. With the arrival of Facebook Places, Facebook is showing (not for the first time) that it has the power to steamroll friends and competitors alike. People can gripe all they want about privacy concerns, but with half a billion members, Facebook is the only game in town, so leaving comes at pretty huge costs. And people developing new apps and services that might be within Facebook's reach? They should be afraid. Does this all sound familiar? It's not too tough a riddle: Just replace "Facebook" with "Google" and it all holds true. 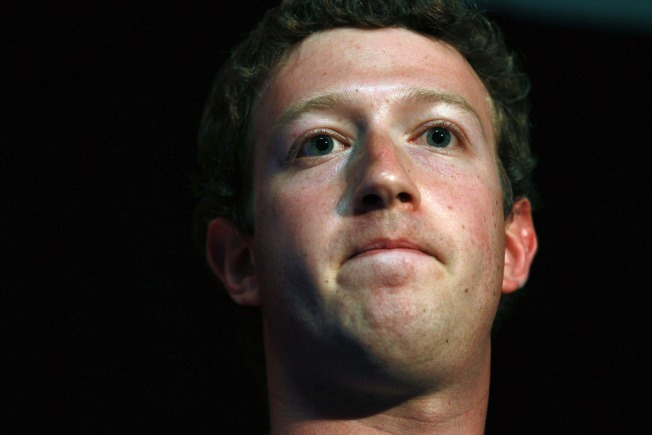 The question is, how soon until Facebook takes on Google directly? Places is the latest example of Facebook adding a feature that knocks a would-be competitor out of center stage. Foursquare, Gowalla and other location-based "check-in" services have to take a back seat to Facebook's, since most iPhone-owning Facebook members in the U.S. will automatically have access to this soon, if not already. Location-based services aren't the only apps bound to get hammered by Facebook Places. Mathew Ingram at GigaOm makes a strong argument that the next victim is Yelp, the social food network that many people — including me — use for quick references when grabbing a burger or Mexican food in an unknown town. Yelp may have an army of eager reviewers, and a database of 10 million reviews and counting. But, as Ingram points out, what does that mean when the competition has 500 million active users? Last fall, when Google introduced its own turn-by-turn GPS navigation app for Android phones, it ripped the bottom off the GPS navi app business. It became a lot harder to justify the many products that range from $3 a month to $90 a pop. Overnight, big GPS brands like TomTom and Garmin lost value. For Google, this was merely progress. For consumers, it was free stuff. But for the tech industry it was transformative, and for those GPS app developers it was destructive. Facebook has eaten into others' businesses in the past. Twitter is growing, but not at the rate that Facebook is, in part because the Facebook News Feed is essentially Twitter. Casual games once played on AOL or out in the open Web are now concentrated on Facebook, in part because Facebook figured out a way for game developers to make money — with Facebook getting a little something in the process. Speaking of AOL, why download a big nasty ad-ridden AIM client to your PC when instant messaging is just an (annoying) pop-up away in every open Facebook window? Remember all those photo-sharing sites of the mid-2000s? The sites still in existence are mere shadows of their former selves. Yahoo's Flickr and Google's Picasa helped chip away from this, but let's be serious, it's the Facebook image uploader that people look for in a photo app. Facebook is already encroaching on Google in some niches. Facebook is the third-largest source of online video, according to comScore, and I verified that this doesn't include any of the YouTube videos that you can see in the Facebook News Feed (videos served by Google and apparently stripped of ads). YouTube is very firmly planted in the No. 1 spot and will be hard to topple. Nevertheless, Facebook is sneaking up on YouTube while using YouTube to its advantage. News and search are also under fire. In a fascinating twist, Google's machine logic is being supplanted by Facebook's crowd logic. Why build an autonomous artificial intelligence when you can devote the same programming resources to building systems to translate the whims of the masses into usable results? Why stop at music, video or food recommendations, the stuff you see already posted on the walls of your friends? Why not turn the sum total of 500 million people's wall postings into humanly intelligent news blotters and search results? Any Trekkie can tell you that the Borg is a lot harder to kill than any purely circuit-based nemesis. Despite its size, Google's lost ground on social networking will hurt it when it comes to harnessing the masses. A few months ago, after Google launched the poorly received Buzz social news feed, Fortune's Jessi Hempel wrote that "Google still holds users' attention with Gmail, the best free e-mail system available." However, she concluded that Google needs to "find a better way to harness the social aspects of the Web and organize it into an improved search product, before it's too late." Like Google, Facebook isn't overly concerned about our privacy concerns. Keeping people's information private is not the point, and it never will be. The promise of connecting you to people, or you to information, comes at the cost of sharing some of your own information. That's food for the billion-dollar ad monsters who pay well to feast. Go too private, and Facebook's coolest features — like Places — will leave you behind. Hint: This is why they don't reform when people ask nicely. Google is fighting a lot of different wars now. Facebook may be the new Google on the Internet, but as mobile platforms go, Google may be the new Apple, or at least the latest hegemon to beat Apple at its own game. And with dominant positions in both search and video, Google has plenty of weapons to fight a war of the online worlds, too. That being said, Google still needs to watch its back. E-mail is already less of a draw for kids and twentysomethings. No social effort by Google has taken root. And Facebook has a log-in-required lock on the majority of its audience that Google doesn't really have. Deciding to create a Facebook account is easy, but once you have built that account into your own hall of frenemies, you're not apt to tear it down again. The more connections you've made on Facebook, the harder it is to pull yourself away. And by a tragic turn of circumstance for Google, the very fact that you have a Facebook account makes it about a million times easier to ditch an old e-mail account. Watch out, Google. You may have become king of the mountain faster than anyone before you, but that only means you've set a record for Facebook to break. You can catch up with Wilson on Twitter at @wjrothman. At least until Facebook subsumes it entirely in an involuntary growth spurt.